Must Eat is a Pizza, Kebabs, Burgers and Chicken Takeaway based on 40 North Methven Street in Perth. 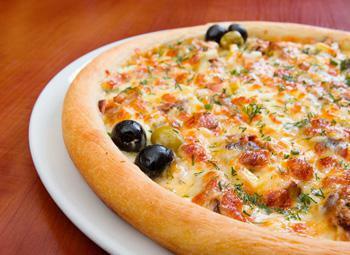 We serve a wide range of delicious Pizza, Kebabs, Burgers and Chicken food and offer online ordering. Welcome to the new website for Must Eat in Perth. We provide a great selection of all your Burger, Pizza, Kebab & Chicken favourites. We have always strived for the best delivery service and we cordially invite you to come and give us a try. Browse our delicious menu of Burger, Pizza, Kebab & Chicken dishes and have them delivered straight to your door. Miniumum order value of £20. Can only be used on www.musteatperth.com. Cannot be used in conjunction with any other offer. Here at Must Eat a Pizza, Kebabs, Burgers and Chicken Takeaway in Perth, we have a wide range of menu options. Serving delicious Pizza, Kebabs, Burgers and Chicken food, we are sure we have something for you to enjoy. Best Hoagie I've ever had. Food is great and tasty ... Great customer service ... Staff is kind ..